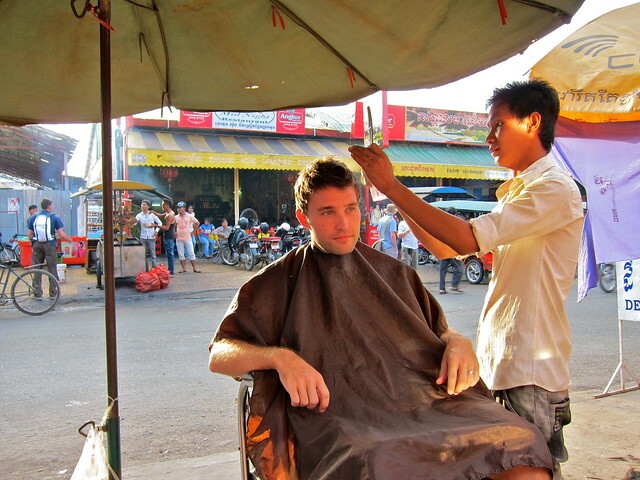 Haircuts around the world: Cambodia edition – snackettes. 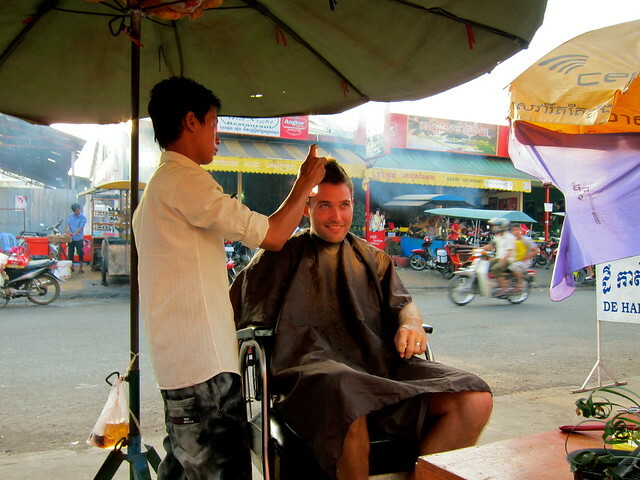 In keeping up with the “haircuts around the world” series, Scott recently received his second of the trip! 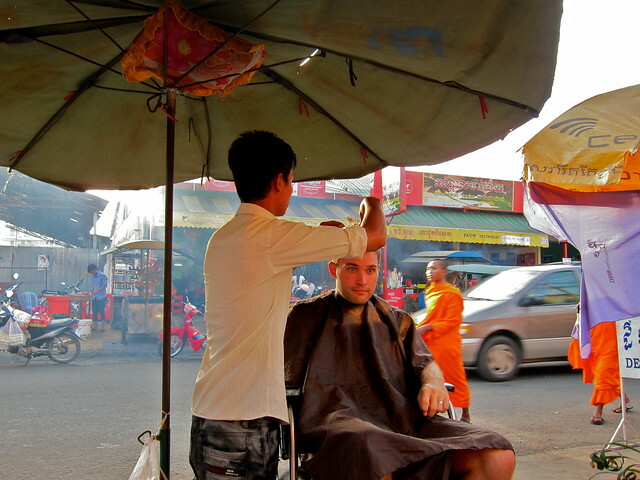 This time, the setting was street-side in Phnom Penh, Cambodia, where young men set up barber chairs and vanity desks underneath umbrellas, offering their barber skills for around a dollar a cut. 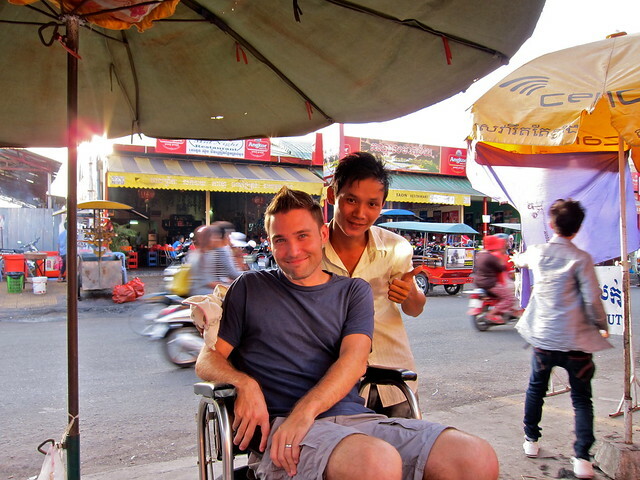 All the while, the city bustles around you with steaming food stalls, swirls of dust kicked up by motorcycles, and monks walking by. There’s no power supply, so even the “clippers” for buzzing shorter hair are manually powered with scissor handles.